As the contemporary methods of identity verification take too long to process, incur a massive financial loss for both businesses and consumers, and often compromise the personal information of the consumers — Velix.ID is decentralizing the process using smart contracts, zero-knowledge proofs (zSNARKs), and stellar consensus protocol (SCP) to build an ecosystem that is Universal, Obscure, Transparent, Decentralized, Time-Efficient, and Cost-Efficient. 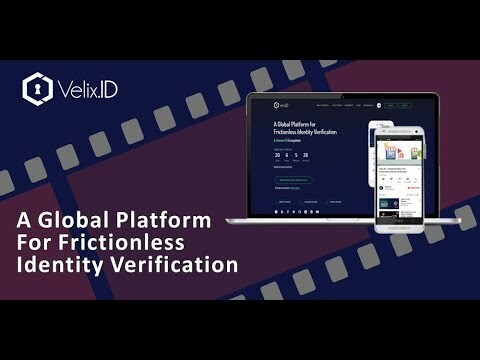 Velix.ID Ecosystem has its own native VXD utility tokens which will be used to transact identity verification between the stakeholders in the ecosystem. The initial target markets are India & Australia with over 1.3 Billion identities, to be followed with operations launch in Asia-Pacific and UK. The Velix.ID team and advisors come with extensive experience in the cryptocurrency industry with a varied background including from Cointelegraph, BnkToTheFuture, KickICO, PundiX, Propy, Trade.io, Covesting, Crypterium, and The Next Web.